Ramona is a Partner at Mishcon de Reya and Head of the firm’s Reputation Protection Group. Ramona is a specialist commercial litigator acting for high net worth clients and their businesses in times of crisis. She and is regularly called upon to advise on an urgent basis in matters involving breach of privacy or threatened publication of defamatory allegations. Ramona regularly advises members of leading Royal families and multi-jurisdictional corporates, high-profile international individuals and family offices. The advice focuses on dispute resolution, using the most commercially effective means to achieve swift results with minimum fuss. Much of Ramona’s work is also international. In addition to crisis work, Ramona also works alongside her clients in protecting and enhancing their brands in the eyes of not only the media but government bodies and the relevant commercial sector. Ramona has extensive experience of advising organisations on how to protect themselves from internal and external bribery and corruption risks. She also assists them in devising strategies which minimise reputational exposure when such risks materialise. Ramona works with clients and their advisors to obtain time efficient and cost effective solutions in the most complex disputes. Ramona is known for deftly handling the most sensitive of matters and is regularly recognized in industry directories. The Legal 500 has highlighted Ramona’s “strong and decisive” approach. Chambers and Partners ranks her as a “key individual” for Defamation/Reputation Management and notes that she is “extraordinarily good under intense pressure”. Peers note that “she’s very perspicacious, she has a very calm manner, but she can most certainly be tough.” Clients are especially keen to highlight “her excellent judgement.” and, “her creative and results-focused approach”. 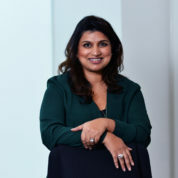 Ramona is Chair of Mishcon de Reya’s Diversity and Inclusion committee, and was included in the 2016 Citywealth Leaders List for Reputation Management.